We’ve looked on the site before at the dogma of the cool-down, and the traditional belief that it will help moderate muscle aches and tension in the days following heavy activity. Research has suggested however, that a prolonged elaborate active cool-down routine is probably of little real physiological benefit. After a particularly heavy bout of training a couple of minutes of light jogging may aid in returning circulation to a normal state, but beyond that much of the perceived value of a lengthy cool-down will likely only be placebo in nature. There is some evidence that ‘active recovery’ such as swimming or a light couple of miles on the exercise bike the day after particularly heavy sessions may help promote recovery for subsequent sessions, but there is little evidence that this needs to be done immediately post-session. So what should you be doing directly after your game to ‘refresh’ your body? Our starting point should be getting out of wet sweaty kit and bringing body temperature and heart rate back down to pre-match levels. Instead of standing around too long in sweat-saturated clothes chatting after you play, get straight to the changing rooms and get yourself under a lukewarm shower to start reducing your core temperature and relax tense and tired muscles. We’ve discussed ice baths/showers on the site before, with the evidence for these being rather mixed. Freezing yourself submerged in ice cold water then is probably unnecessary, but cooling down in the shower and changing into fresh dry clothes should be your first step in refreshing and relaxing your body post-session. After you’ve showered and changed is also a great time to spend 10 minutes going through a squash-specific mobility routine, ideally incorporating a range of dynamic flexibility movements as opposed to just slightly outdated ‘static’ stretches. Incorporating some foam rolling drills can also be a good idea here, and is a topic we’ll be looking at in greater depth on the site in the near future. A tough match or a particularly brutal training session can result in a huge amount of energy expenditure, along with an accompanying loss of a large volume of fluid through heavy sweating. Both of these things need to be replenished as soon as possible, to help accelerate recovery and optimise the training effect. Replenishing lost fluid is probably the most pressing need post-match for the squash player, due to the nature of the heat and enclosed space of the typical squash court causing heavy sweating. Staying hydrated is essential for everyone, but particularly so for athletes and sportspeople – water is the most important nutrient for life, and has a wide range of important functions within the body including regulating temperature, lubricating joints, and transporting nutrients and extinguishing waste. It can often be difficult however, to know how much fluid we’ve lost through sweat in a session and how much we need to drink to replace it. A general rule of thumb is to drink around half a litre every 20 to 30 minutes to avoid dehydration-related drops in performance during a session, but this isn’t always possible in a game of squash where the timing of breaks between games are beyond the control of the player. Post-game/session fluid replenishment then becomes of even greater importance, to negate any cumulative dehydration issues and to help in physical recovery. To really be more specific here, a good tip is to weigh yourself both immediately before and after exercise to see how much fluid weight you’ve lost, taking in around 500ml for every 1lb dropped. Checking the colour of your urine is also a good general indication of your hydration levels, urine should be a pale straw colour, with darker tints an early warning sign of dehydration. For most people water is fine to use for rehydration purposes, though heavy sweaters will be better served by taking in an electrolyte based solution such as a low calorie sports drink to also help replace minerals that are lost through perspiration like sodium and potassium. As well as replenishing fluid balance, it’s also important to replace lost energy stores to optimise recovery from playing/training. There is often much talk of a ‘window’ of anywhere between 30mins and 2hrs within which this nutrient replenishment is most crucial, and it’s important to get into good habits of consuming an appropriate amount of carbs and protein soon after the cessation of heavy activity to optimise recovery. 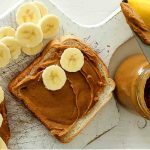 Specific individual needs can differ, but the generally accepted recommendation is for around 60g of carbs to 20g of protein, ideally keeping to around that 3:1 ratio even if taking in more or less. The carbohydrate will help replenish muscle and liver glycogen stores, while the protein content goes toward helping with muscle tissue repair and recovery. 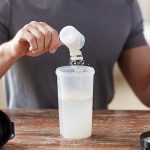 Getting in these kind of carb/protein amounts can be a little awkward for some people in terms of appetite and convenience after their game/training, so a good alternative is to use a basic recovery shake drink. A lot of formulas promise all sorts of fantastical ingredients, but it’s really just the simple carbs/protein that are the most important thing to look for when selecting a product ‘CNP’s ‘Pro-Recover’ is a good simple choice. 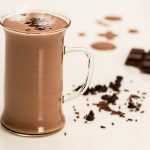 An excellent inexpensive alternative to a specifically manufactured recovery shake that we’ve looked at here on the site before for those on a tight budget, is actually basic chocolate milk! While emotions can often be running high after a closely fought on-court battle, it can be a good idea to get in the habit of making a quick note of your thoughts and feelings on your performance immediately post-match. We’ve looked on the site before at the benefits of keeping a training diary. While a full self-appraisal is perhaps best saved for later when you have more time, it’s worth jotting down a few brief notes while the pattern and results of the game are still very fresh in your mind. These notes can then be reflected upon and fleshed out later, when you have more time to relax and evaluate. Another useful way to appraise your performance directly after you play, particularly if it’s someone who knows you well, is to discuss your game with your opponent. Too few amateur players take the time to garner this great source of valuable external feedback after matches/training. Having a chat about the game/session with your opponent or training partner in the changing rooms afterwards is the perfect time to dissect and reflect upon the games/drills you’ve just been working on. The feedback from an honest training partner familiar with your game can be invaluable and is one of the easiest and most effective yet probably least utilised areas of self-development for the vast majority of club level players. Assess your current level of skill! 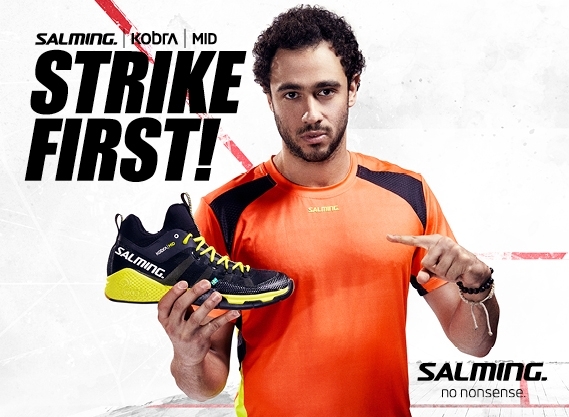 In squash, you need to have the technical fundamentals in place first. Why not take the SquashSkills solo practice test to find out what your strengths and weaknesses are?